The 5th group took over the demonstration in Van to support the hunger strikes. A letterwas sent to the international community, the Iraqi government and the Kurdistan regional government in the name of 140 villages in Southern Kurdistan’s Bradost region demanding the Turkish soldiers leave the region. Kurdish journalism has had similar adventures in all parts with the fall of the Ottoman Empire and the fracturing of Kurdistan into four. It has been 121 years since the first Kurdish language newspaper, Kurdistan, was published in what is considered to be the beginning of Kurdish media. Despite all pressures, obstacles and bans, Kurdish press tradition continues the legacy. The border crossing between Rojava and South Kurdistan has been closed due to flooding. Hunger strikes demanding the end of the isolation of PKK Leader Abdullah Öcalan continue in Turkey, Kurdistan, Europe and beyond. 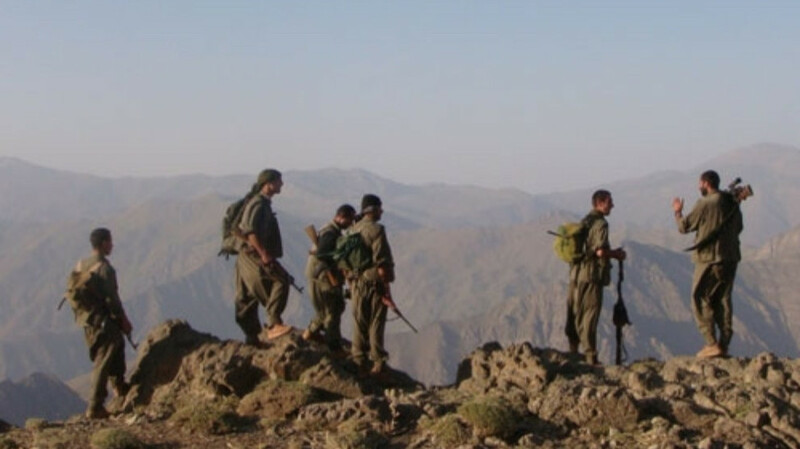 Guerrillas hit the Turkish army in north and south Kurdistan. The hunger strike carried out in the Mesopotamian Workers Association has been taken over by the 65th group on the 128th day. Day 92 of Fadile Tok's indefinite hunger strike and day 127 of the alternating hunger strike against the isolation of Abdullah Öcalan in Maxmur. NCE, TAJE and NAV-YEK members visited Nasir Yagiz who has been on a hunger strike for 151 days. Municipal councillors elect still haven’t received their mandates in the Baglar district where the HDP won 70% of the vote. The 4th group has taken over the protest launched in Van to draw attention to the indefinite nonalternating hunger strikes to end the isolation imposed upon Ocalan. A delegation of DTK, HDP and TJA members visited Nasir Yagiz, who has been on an indefinite non-alternating hunger strike for 150 days demanding an end to the isolation imposed upon Ocalan. HPG/YJA Star guerrillas hit the Turkish soldiers participating in a military operation in Cudi region. Many soldiers were killed. The wall put up around the Kiziltepe municipal building during the occupation was torn down by the co-mayor from the HDP and the people. Three Kurdish kolbars lost their lives in Piranshahr, East Kurdistan. The Mesopotamian Water Forum is an alternative civil society forum for water, an open space to give voice to those who are marginalized and excluded from the discussion about water management in the Mesopotamian region. HPG announced continued air raids by the Turkish army against guerrilla zones in South Kurdistan. The Iraqi Baathist regime killed as many as 182,000 Kurds between 1986 and 1989. Since 2004, the 14th of April has been the day of remembrance of the victims of the genocidal Anfal campaign. 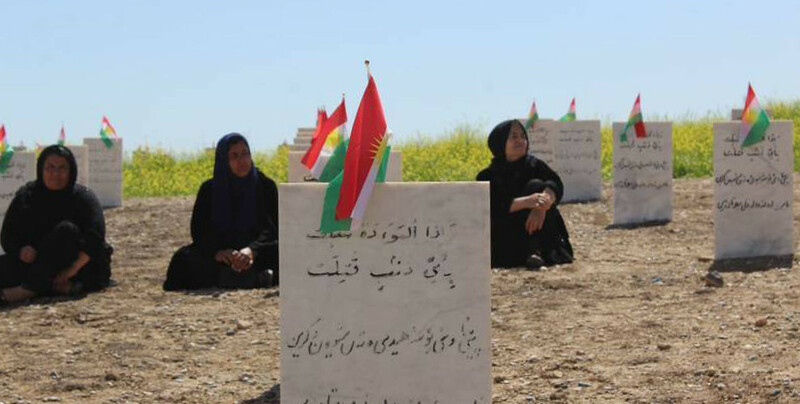 Victims of the Anfal Genocide campaign conducted against the Kurds by the Saddam regime in South Kurdistan, are being remembered with various events. HPG/YJA Star guerrillas hit a Turkish military convoy in Serhat region in North Kurdistan. SDF handed over 25 Yazidi women and children rescued from ISIS gangs to the Yazidi House in Amude. The rescued Yazidis set out for Shengal following a press conference. The Turkish state continues its war against the Kurdish people within and beyond its borders.